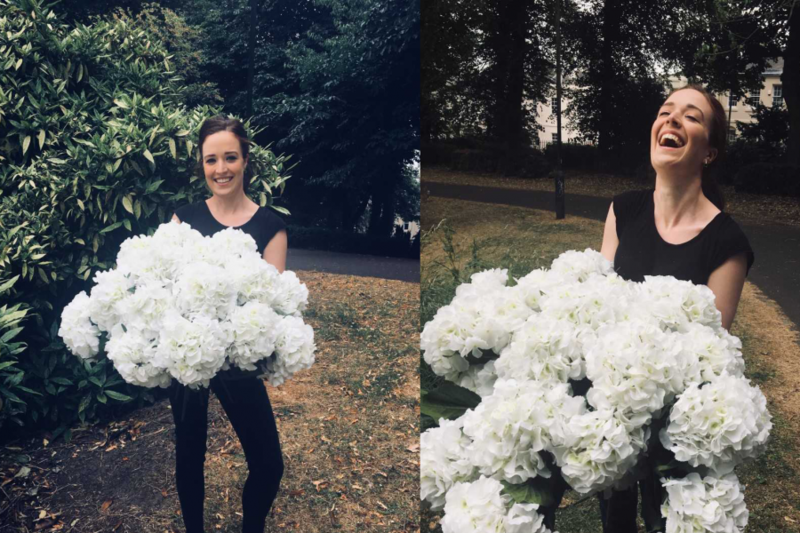 We’re absolutely in love with Hydrangeas at the moment, and it seems like we’re not the only ones, with more and more Hydrangea hand ties flying out of our doors each day. This stunning flower was once overlooked but people are now using them as a statement piece in their homes as well as gorgeous gifts. 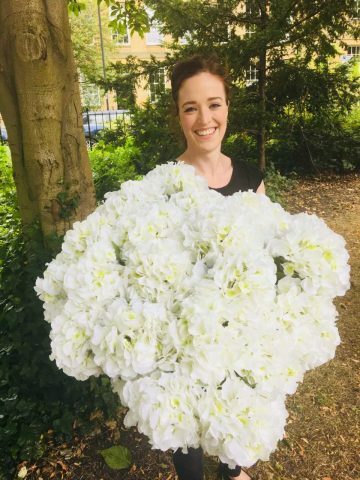 The stunningly beautiful flower heads are available in a wide range of colours from electric blues, lavenders,lilac,lime greens to classical white and all shades of pink. Come September, the autumnal shades also start coming through in aubergine, greens and vintage blues. We have to say at this time of year they are looking quite simply exceptional and we would hate for you to miss out. So we have concocted a new special offer so you can treat someone you know or just treat yourself! You can have one our amazing Hydrangea hand-ties from just £24.99 – we’ve even popped free delivery on! 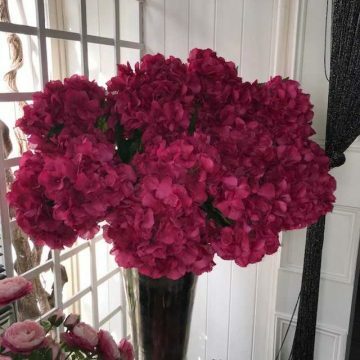 The name Hydrangea stems from the Greek words “hydor” meaning water and “hygos” meaning jar or vessel. This roughly translates as water vessel. So as you can imagine from their name, Hydrangeas cannot get enough water. When you get your Hydrangea hand-tie make sure that you lavish them in lots and lots of deep water and give the ends a good cut. Hydrangeas like moderate conditions away from direct sunlight and air conditioning. They do tend to arrive with lots of beautiful soft leaves but when the stalk drinks the water it tends to distribute itself to the leaves before the luscious flower head. Only keep a couple of leaves on to make sure they’re not drinking all of the water! Once your Hydrangeas are prepared pop them in a nice large vase away from direct sunlight and voila! The fresh Hydrangeas are simply divine, but don’t forget about the silk equivalents if you’re wanting an arrangement for at home. They will last forever and you can freshen them up with some fresh foliage such as eucalyptus. 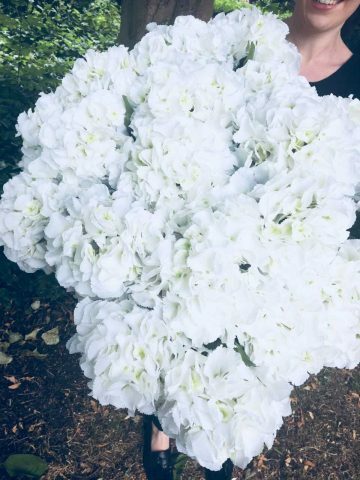 As you can see in the picture on the left, the silk Hydrangeas are amazingly life like and it can be pretty difficult for even us to tell the difference. You can purchase a silk hydrangea from £9.99 per stem. If you have any questions about our silk Hydrangea’s why not pop into our Gosforth Store or email the team.